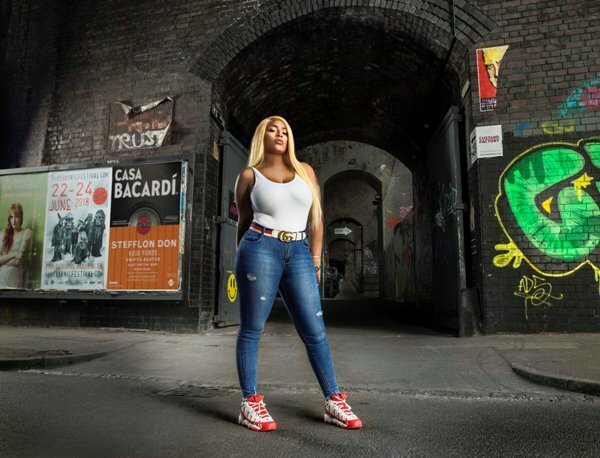 Birmingham-born rapper and singer Stefflon Don hosts an innovative show in her hometown on July 7, 2018, as part of a new nationwide music campaign. Bacardi's Do What Moves You at Boxxed in Digbeth features Afro-swing artist Kojo Funds alongside local talent including producer Swifta Beater, rapper Dapz On The Map and MC Roxxxan. One of seven siblings born in Birmingham to Jamaican parents, Stefflon Don (Stephanie Allen) moved to Rotterdam in Holland with her family at the age of four. She returned to the UK and settled in London when she was 14. Her experience of different cultures has led to her taking inspiration from a globally diverse set of influences. She made her first musical appearance in the song London by American singer Jeremih and featured on Lil Yachty's Teenage Emotions album, in the song Better. She also teamed with Jax Jones on Instruction and Halsey on Alone. Her 2016 debut mixtape, Real Ting, was a huge hit with grime and rap fans, and since then she has continued to cement her reputation as one of the UK's hottest stars, winning both Best Female Artist at last year's Mobos and Best Newcomer at the NME Awards. Her 2018 EP, Hurtin' Me, was a top ten hit and her tracks have featured the likes of Skepta (Ding-a-Ling) and Ne-Yo (Push Back) as guest artists. She made history as the first UK artist to grace XXL Magazine's annual Freshman cover. Do What Moves You is a nationwide music campaign where artists uncover the sounds of their hometown, exploring the places and people that have driven them and their music to where they are today. Bugzy Malone hosted the Manchester event, while Don Giggs stars at the London show. Tickets for the Birmingham gig are available through the mobile ticketing platform DICE, priced at £5. Proceeds from all ticket sales will go to the non-profit Lonely Whale Foundation.